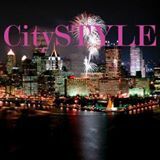 CitySTYLE’s Says Thank You for A Fabulous 2014! 2014 has been an amazing year! Thank you for helping to make a fabulous, fun and exciting year! 2015, here we come! Continue reading CitySTYLE’s Says Thank You for A Fabulous 2014!